The Food and Drug Administration (FDA) announced Thursday that it is taking a “historic” step toward making cigarettes less addictive. The agency is considering limiting the amount of nicotine it will allow in cigarettes to 0.3, 0.4, or 0.5 milligrams of nicotine per gram of tobacco filler. For context, most regular cigarettes contain about 10 to 14 mg of nicotine. “Cigarettes are the only legal consumer product that, when used as intended, will kill half of all long-term users,” FDA Commissioner Scott Gottlieb said in statement, noting that 480,000 Americans die every year due to tobacco-related causes. An FDA-funded analysis found that reducing nicotine levels could lower the smoking rate from 15 percent of adults to just 1.4 percent, which would result in around 8 million fewer tobacco-related deaths by the end of the century -- “an undeniable public health benefit,” Gottlieb said. 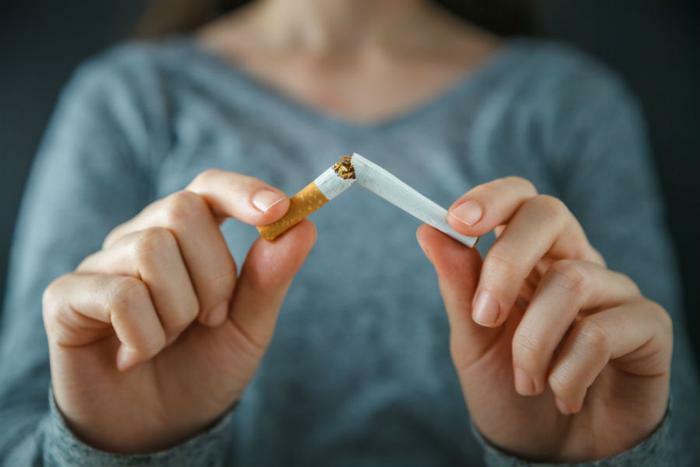 Under the Family Smoking Prevention and Tobacco Control Act, the FDA is legally prohibited from completely eliminating nicotine from cigarettes. Mitch Zeller, director of the FDA’s Center for Tobacco Products, said cutting nicotine levels would reduce their addictive power over individuals, which would help more adults succeed in quitting smoking. It could also potentially help keep young people who may be experimenting with smoking from becoming addicted. The nicotine notice follows Gottlieb’s announcement last summer that the FDA would pursue a comprehensive plan on tobacco and nicotine regulation in an effort to prevent millions of tobacco-related deaths. The notice will be open for public debate for 90 days. During that time, the agency is seeking input on what maximum nicotine level would best protect the public’s health and whether a new limit should be implemented gradually or all at once. Gottlieb is also seeking opinions on whether addicted smokers would compensate by smoking more or create a black market for high-nicotine cigarettes. “It’s critical that our policies reflect the latest science and is informed by the input we receive” from groups and individuals with a stake in the outcome, he added.